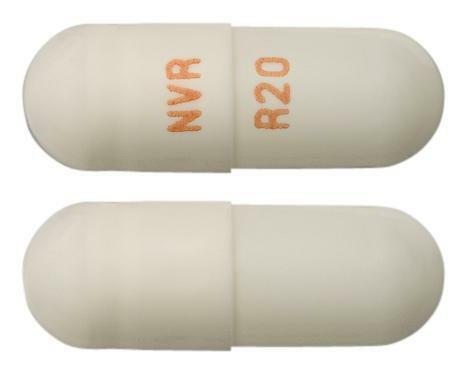 Ritalin 10 tablets and Ritalin LA capsules are indicated for the treatment of ADHD. 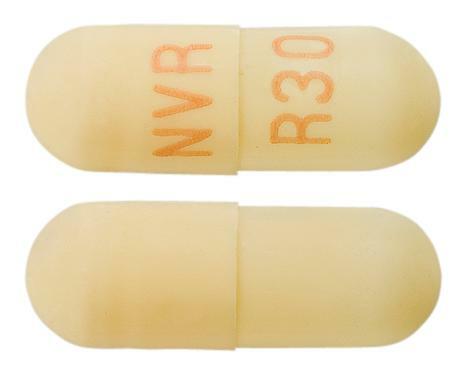 Ritalin 10 tablets are also indicated for the treatment of narcolepsy. Attention-Deficit Hyperactivity Disorder (ADHD) ADHD was previously known as attention-deficit disorder. Other terms used to describe this behavioural syndrome include: minimal brain dysfunction in children, hyperkinetic child syndrome, minimal brain damage, minimal cerebral dysfunction, minor cerebral dysfunction and psycho-organic syndrome of children. Ritalin 10 / Ritalin LA are indicatedas an integral part of a total treatment program for ADHD that may include other measures (psychological, educational and social) for patients with this syndrome. Stimulants are not intended for use in the patient who exhibits symptoms secondary to environmental factors and/or other primary psychiatric disorders, including psychosis. Special diagnostic considerations for ADHD in children: The aetiology of this syndrome is unknown and there is no single diagnostic test. Adequate diagnosis requires the use, not only of medical, but also of psychological, educational and social resources. Characteristics commonly reported include: chronic history of short attention span, distractibility, emotional lability, impulsivity, moderate to severe hyperactivity, minor neurological signs and an abnormal EEG. Learning may or may not be impaired. The diagnosis must be based upon a complete history and evaluation of the child and not solely on the presence of one or more of these characteristics. Drug treatment is not indicated for all children with this syndrome. Stimulants are not intended for use in children who exhibit symptoms secondary to environmental factors (e.g. child abuse in particular) or primary psychiatric disorders. Appropriate educational placement is essential and psychosocial intervention is generally necessary. When remedial measures alone are insufficient, the decision to prescribe stimulant medicine will depend upon the physician's assessment of the chronicity and severity of the child's symptoms. Continuation of treatment in adolescent and special diagnostic considerations for ADHD in adults: There is limited information to guide clinicians about how long older adolescents should continue to receive treatment with drugs for attention deficit hyperactivity disorder (ADHD). The decision should be based on the extent to which symptoms of ADHD and social functioning have improved to a point that medication is no longer needed. If older adolescents have been largely symptom-free for a year and are functioning well, a trial without medication is warranted. This should be undertaken at times of low stress such as during holidays or in a period when a school routine is well established. ADHD needs to be considered in adults who present with longstanding symptoms suggestive of ADHD (inattention, impulsivity, disorganisation) that appear to have started in childhood and are persisting into adult life. Further, people with personality disorder and/or problems with drug use accompanied by a significant level of impulsivity and inattention should be referred for evaluation by a psychiatrist with the training and skills required to assess and treat ADHD. This expertise is necessary due to the overlap of ADHD symptoms with anxiety, mood and personality disorders. Narcolepsy The symptoms include daytime sleepiness, inappropriate sleep episodes and rapidly occurring loss of voluntary muscle tone. Ritalin 10 is effective for symptoms of sleepiness but not for loss of voluntary muscle tone. White to off-white beads in light brown opaque hard gelatin capsule with "NVR" on cap and "R10" on a white opaque body in tan ink. Ritalin 10 tablets and Ritalin LA capsules are indicated for the treatment of ADHD. 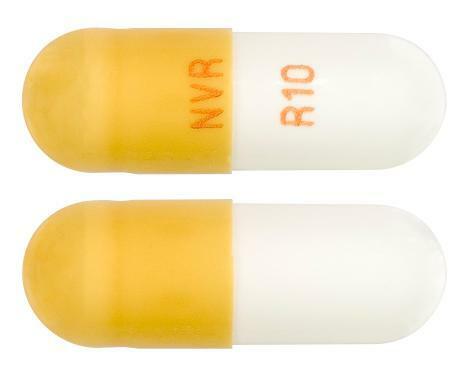 Ritalin 10 tablets are also indicated for the treatment of narcolepsy. Attention-Deficit Hyperactivity Disorder (ADHD) ADHD was previously known as attention-deficit disorder. Other terms used to describe this behavioural syndrome include: minimal brain dysfunction in children, hyperkinetic child syndrome, minimal brain damage, minimal cerebral dysfunction, minor cerebral dysfunction and psycho-organic syndrome of children. Ritalin 10 / Ritalin LA are indicated as an integral part of a total treatment program for ADHD that may include other measures (psychological, educational and social) for patients with this syndrome. Stimulants are not intended for use in the patient who exhibits symptoms secondary to environmental factors and/or other primary psychiatric disorders, including psychosis. Special diagnostic considerations for ADHD in children: The aetiology of this syndrome is unknown and there is no single diagnostic test. Adequate diagnosis requires the use, not only of medical, but also of psychological, educational and social resources. Characteristics commonly reported include: chronic history of short attention span, distractibility, emotional lability, impulsivity, moderate to severe hyperactivity, minor neurological signs and an abnormal EEG. Learning may or may not be impaired. The diagnosis must be based upon a complete history and evaluation of the child and not solely on the presence of one or more of these characteristics. Drug treatment is not indicated for all children with this syndrome. Stimulants are not intended for use in children who exhibit symptoms secondary to environmental factors (e.g. child abuse in particular) or primary psychiatric disorders. Appropriate educational placement is essential and psychosocial intervention is generally necessary. When remedial measures alone are insufficient, the decision to prescribe stimulant medicine will depend upon the physician's assessment of the chronicity and severity of the child's symptoms. Continuation of treatment in adolescent and special diagnostic considerations for ADHD in adults: There is limited information to guide clinicians about how long older adolescents should continue to receive treatment with drugs for attention deficit hyperactivity disorder (ADHD). The decision should be based on the extent to which symptoms of ADHD and social functioning have improved to a point that medication is no longer needed. If older adolescents have been largely symptom-free for a year and are functioning well, a trial without medication is warranted. This should be undertaken at times of low stress such as during holidays or in a period when a school routine is well established. ADHD needs to be considered in adults who present with longstanding symptoms suggestive of ADHD (inattention, impulsivity, disorganisation) that appear to have started in childhood and are persisting into adult life. Further, people with personality disorder and/or problems with drug use accompanied by a significant level of impulsivity and inattention should be referred for evaluation by a psychiatrist with the training and skills required to assess and treat ADHD. This expertise is necessary due to the overlap of ADHD symptoms with anxiety, mood and personality disorders. Narcolepsy The symptoms include daytime sleepiness, inappropriate sleep episodes and rapidly occurring loss of voluntary muscle tone. Ritalin 10 is effective for symptoms of sleepiness but not for loss of voluntary muscle tone.